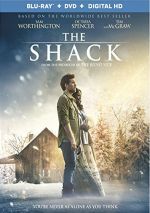 A grieving man receives a mysterious, personal invitation to meet with God at a place called "The Shack". In 1997, James Cameron made Titanic, a movie that became the biggest box office hit ever to that point. The film also immediately turned Leonardo DiCaprio into an “A”-list star. In 2009, James Cameron directed Avatar, a movie that overtook Titanic to reign as the all-time box office champ. The film gave lead performer Sam Worthington a boost but the actor never got over the proverbial hump to become a true star. Worthington continues to work, of course, and 2017’s The Shack represents his latest film. Based on William P. Young’s novel, we meet Mack Phillips (Worthington), a man in crisis. Someone abducts and presumably kills Mack’s daughter Missy (Amelie Eve), and this event sends him into an existential downward spiral where he questions his life and spirituality. In this midst of this, Mack receives an invitation to return to the shack where Missy may have been killed. While that sounds like a terrible idea on the surface, Mack goes anyway, and he encounters three strangers who may be physical manifestations of God. Part of me thinks that the last sentence counts as a spoiler, but since the summary on the Blu-ray’s box offers even more detail, I included it. Normally a movie like this would leave some question about the divinity on display, but Shack goes for a pretty literal view. Yeah, an opening comment leaves open the notion that all the events offer a fable, but in truth, the film plays matters straight. I don’t mind that as much as I dislike the basic tedium on display. While Shack wants to deliver a rich exploration of faith, instead it just packs in a long litany of pseudo-philosophical and spiritual mumblings. Let’s face it: there’s nothing you can’t get from Shack that you can’t find elsewhere. The cinematic notion of human representations of God goes back an awfully long time, so the film doesn’t bring us a new concept. Shack feels an awful lot like a less interesting version of 2016’s Collateral Beauty as well. Given that Beauty wasn’t much of a movie, this becomes a problem. At least Beauty clocked in at a reasonably efficient 96 minutes, whereas Shack meanders well past the two-hour mark. This turns into a prominent flaw, as the movie just doesn’t enjoy enough content to fill that time. We get maybe 75 minutes of workable material here, so the film vamps and blathers its way for almost an hour past that point. It doesn’t help that Shack lacks any form of philosophical or emotional depth. The film essentially consists of one superficial discussion of faith after another, none of which becomes provocative or deep. At the start of the review, I opened up the question about why Worthington never became a big star despite his prominent roles in Avatar and other blockbusters. As I watched Shack, the answer dawned on me: Worthington didn’t make the “A”-list because the guy can’t act. Yeah, a lack of depth didn’t keep Keanu Reeves from major stardom, but I still think Worthington’s lack of obvious talent held him back. The man shows the emotional range of a wet sponge, and given Mack’s need to go on a spiritual journey, Worthington’s inability to muster recognizable human expressiveness badly hamstrings the film. Even with a better lead, though, The Shack would likely remain a dud. The film simply lacks the intelligence and curiosity to become a vivid exploration of faith – instead, it turns into a slow, simplistic tale. The Shack appears in an aspect ratio of approximately 2.40:1 on this Blu-ray Disc. For the most part, the image looked positive. Sharpness seemed fine. Some wide shots displayed mild softness, but those instances remained minor. The majority of the flick offered pretty good clarity. No issues with jaggies or moiré effects occurred, and I witnessed no edge haloes. Print flaws failed to mar the presentation. In terms of colors, Shack went with a teal/orange feel. In particular, blues dominated and made this a stylized affair. I think the movie would’ve made more sense with a natural impression, but the hues worked fine within those limitations. Blacks seemed deep enough, and shadows showed good smoothness. This wasn’t a great image but it merited a “B”. I didn’t anticipate a slambang DTS-HD MA 5.1 soundtrack from Shack, and the audio followed expectations. For the most part, the soundscape didn’t have much to do, as it tended toward general ambience. When we go to the set’s extras, we launch with an audio commentary from director Stuart Hazeldine. He provides a running, screen-specific look at the source and its adaptation, story/characters, cast and performances, sets and locations, music, cinematography and production design, editing and related topics. From start to finish, Hazeldine delivers a top-notch commentary. He covers the material in an insightful manner and does so with charm and enthusiasm. I find a lot to like about this informative chat. A handful of featurettes follow, and we find Touched By God: A Writer’s Journey. In this 10-minute, five-second show, we hear from Hazeldine, author William Paul Young, producer/collaborator Brad Cummings, collaborator Wayne Jacobsen, Agape International Spiritual Center founder Michael Bernard Beckwith, executive producer Mike Drake, theology professor Gary Black Jr., screenwriter John Fusco, and actors Octavia Spencer, Sam Worthington and Tim McGraw. We learn why Young wrote Shack as well as other aspects of the novel and its path to the screen. Although we get a handful of insights, much of the program seems superficial. God’s Heart for Humanity runs eight minutes, 59 seconds and involves Young, Cummings, Hazeldine, Jacobsen, Beckwith, Black, Worthington, and theology professor William A. Dyrness. 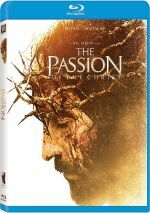 “Heart” examines theological topics found in the film. Some of this becomes intriguing, but too much of the piece just praises the movie. Next comes Something Bigger Than Ourselves: The Making of The Shack. A 13-minute, three-second piece, it features Hazeldine, Worthington, Spencer, Young, Cummings, Drake, co-producer Lani Armstrong Netter, production designer Joseph Nemec, VFX supervisors Chris Van Dyke and Raymond McIntyre Jr., and actors Gage Munroe, Megan Charpentier, Radha Mitchell, Avraham Aviv Alush, and Sumire. “Bigger” looks at story/characters, themes, cast and performances, production design and effects. Once again, we get a handful of details among long stretches of happy talk. Premiere Night: A Blessed Evening lasts 18 minutes, seven seconds. Hosted by “radio personality” Delilah, we get some notes from Young, Worthington, Spencer, Alush, Mitchell and McGraw. “Blessed” offers basics about the production, and we also get a music video from “Dan + Shay”. In a Blu-ray packed with promotional fluff, “Blessed” is the most promotional and fluffiest. For the final featurette, we get ”Heaven Knows”: The Power of Song. During its six minutes, nine seconds, we hear the song accompanied by footage of the band in the studio and movie clips. It’s nothing more than a cheap take on a music video. One Deleted Scene goes for one minute, 18 seconds. The sequence features a little male bonding between Mack and his pal Willie. It lacks much purpose and seems redundant given all the similar content in the final film. The disc opens with ads for Hacksaw Ridge, La La Land, The Great Gilly Hopkins, Lion and The Choice. No trailer for Shack appears here. A second disc presents a DVD copy of Shack. It includes the same extras as the Blu-ray. In an attempt to entice the Christian audience, The Shack comes heavy on sentiment and light on depth or real meaning. The film touches on spiritual themes without insight, as it turns into a draggy, superficial bore. The Blu-ray offers very good picture as well as acceptable audio and an informative commentary. Shack fails to deliver an engaging character journey.